When I founded this blog with some colleagues from Olswang LLP back in 2008, principally as a means of lobbying for reform of the England and Wales Patents County Court, I had no idea that it would still be going seven years later, with international content, over 1,500 email subscribers and nearly 900,000 pageviews. PatLit has been a lot of fun, and occasionally a good deal of very hard work. Thanks so much for giving me the chance to share ideas, information and thoughts with you. At midnight tonight I retire, leaving the running of PatLit to my colleagues. Do please give them your support. If you are interested in participating in this weblog, do please contact Michael Thesen at thesen.michael@googlemail.com and let him know. On 22 January 2016, EPLIT will run a mock-trial under the 18th draft of the Rules of Procedure for the Unified Patent Court (UPC). The case to be tried is between Improver Corporation and Remington Consumer Products and concerns a depilatory device, better known as the "Epilady" case. This case was litigated in the late 1980s and early 1990s before various national courts in Europe with drastically different outcomes. For that reason it serves as a reminder of why further harmonization of patent litigation in Europe is a worthy cause. The mock-trial will be staged before the Local Division of the UPC in Munich. The panel of judges will consist of Prof Haedicke (Oberlandesgericht in Düsseldorf), Mr Zigann (Landgericht in Munich) and Mr Van Walderveen (District Court in The Hague). The panel has been extended with a technical judge, Mr Klein (formerly of the Boards of Appeal of the European Patent Office). The patent proprietor (Improver) will be represented by Rainer Beetz (Sonn and Partner, AT) and Leythem Wall (Finnegan Europe LLP, GB). The alleged infringing party (Remington) will be represented by Marek Lazewski (Lazewski Depo and Partners, PL) and Jan Stein (Ipracraft AB, SE). The day will begin with a case management conference (CMC) in the morning, and the afternoon will comprise of the oral hearing. This will be followed by a questions and answers session for the audience. The event will take place in the Sofitel Bayerpost, Bayerstrasse 12, Munich. The admission fee is EUR 395 for EPLIT members and EUR 495 for non-EPLIT members. This will include lunch, as well as coffee and other refreshments and snacks throughout the day, and a drinks reception after the proceedings have con­cluded. Application form here. Please email it to the EPLIT Secretariat here. EU Observatory survey on cost of IP infringement: can you help? The European Observatory on Infringements of Intellectual Property has let it be known that it is currently undertaking a project that is designed to assess the cost of infringement of intellectual property rights to business and government. Presumably the cost, in this instance, includes the cost of dispute resolution and, in particular, patent infringement litigation. The Observatory has contracted market research company GfK to carry out a survey on its behalf for this purpos. The survey itself is a simple questionnaire which is largely comprised of multiple choice questions. It can be accessed here. It is addressed to a sample comprising the following Member States, in their own language(s): Belgium, Denmark, Germany, Spain, France, Italy, Lithuania, Hungary, Netherlands, Austria, Poland, Portugal, Sweden and the United Kingdom. The intervention of Nicolas Petit at the Training course for technical judges atthe UPC organized by the CEIPI had been discussed here some time ago. 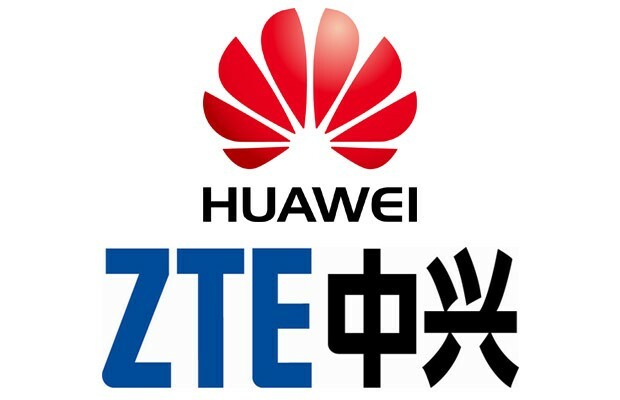 Nicolas has now published his observations on the decision Huawei vs. ZTE, which are available for download here and are interesting to read. Among other points, Nicolas observes that upstream licensing entities are immune against the antitrust defence because he concern of the CJEU lies in the exclusion of competitors, not in the exploitation. This means that the problems of hold-up, reverse hold-up and of FRAND setting are addressed only in terms of procedural courtesy obligations among parties competing on same market and that the question of substantial pricing is left open or left to the national courts. BGH on Patentability of Mathematical Methods - "Flugzeugzustand"
a) In view of §1 par. 3. Nr. 1 PatG, mathematical methods are patentable only when they contribute to the solution of a specific technical problem with technical means. b) A mathematical method can be considered non-technical only when it does not have, in the context of the claimed teaching, any relation to the purposeful use of natural forces. c) A sufficient relation to the purposeful use of natural forces exists when the mathematical method is used for the purpose of obtaining more reliable information on the state of an airplane using the available measurement data to thereby influence the functioning of the system used for detecting that state. d) Subject-matter which is novel and based on an inventive step cannot be considered non-patentable only because it does not offer any recognizable advantage over the prior art. The decision clarifies that the exception of §1 par. 3. Nr. 1 PatG has to be interpreted very narrow and that even a remote relation to a tangible technical device ("the purposeful use of natural forces") is sufficient. Letter d) highlights an interesting contrast between the German case-law and the case-law of the technical boards of appeal, where a technical advantage is sometimes required. Since 2012, ZTE and Vringo have been involved in litigation on a number of patents, which are part of a portfolio of ca. 500 patents which Vringo purchased from Nokia. EP 119 is one of those patents. 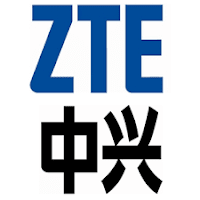 In the Netherlands, litigation started in 2014 when the Dutch customs stopped several shipments of ZTE equipment. Vringo attached part of these goods, alleging infringement of EP 119. The preliminary relief Judge of the District Court The Hague refused to lift this attachment, inter alia because he considered the outcome of nullity proceedings on EP 119 too uncertain. In 2007, EP 119 was upheld by the European Patent Office's Technical Board of Appeal (TBA) in opposition proceedings initiated by Qualcomm. It has also been the subject of infringement proceedings in Germany, where in 2013 the Landgericht Mannheim refused to stay the infringement proceedings pending the nullity proceedings before the Bundespatentgericht as it considered the chance of revocation insufficient. EP 119 claims a method for transmitting a certain sequence of symbols, and is according to Vringo essential for the UMTS standard. More specifically, it pertains to the situation in which a UMTS base stations transmits so-called synchronization information on the synchronization channel when a functionality called time-switched transmit diversity, or TSTD, is in use. ZTE advanced several nullity grounds, including lack of novelty, lack of inventive step and added matter. The Court only dealt with inventive step. 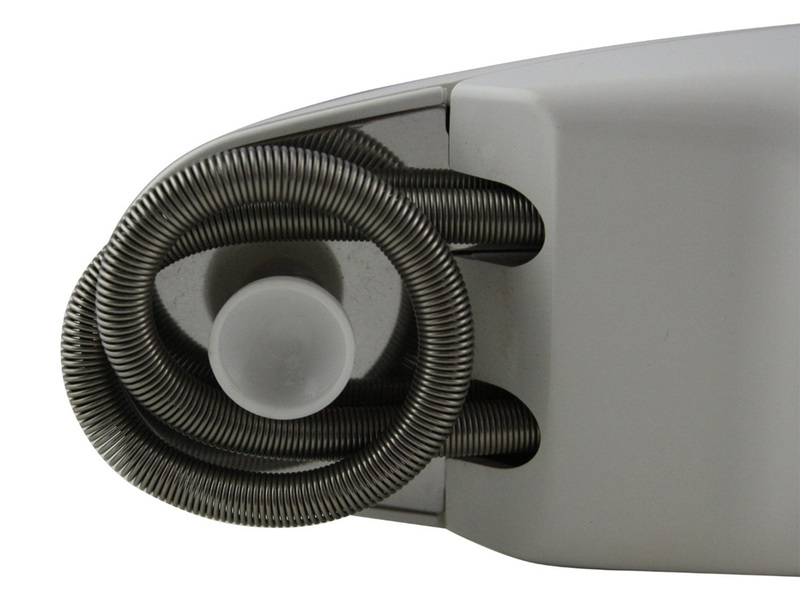 It found the patent obvious, starting from the latest draft for the UMTS standard published before the priority date, referred to as TS 25.211 V2.1.0, as closest prior art, in combination with a document referred to as TSGR1#5(99)677. This document, which was published by one of the working groups working on the UMTS standard at the time, proposed changes to the draft standard. The Court held that the skilled person would read these two documents together, and in doing so would be confronted with the problem for which the patent aims to provide a solution. Vringo argued that EP 119 was in essence a problem invention. However, the Court held that Vringo failed to make sufficiently clear why that would be the case. A number of factors were only first advanced by Vringo during the hearing, while the same number of factors were only briefly touched upon in a rather difficult to follow declaration by its expert, Dr. Moulsley. Neither the patent nor Vringo’s Statement of Defence mentioned these ‘pieces of the puzzle’ as joint causes of a problem. What’s more, the District Court did not find these arguments persuasive when looking at other prior art publications and an e-mail exchange between several technical experts who already discussed the issue. Although Vringo disputed that interpretation of the e-mail exchange, it did not provide any convincing explanation as to what they would then be discussing. Finally, the Court stated that restraint must be observed in assuming the existence of a problem invention, referring to TBA case law (T 971/92). The Court then concluded that ZTE had rightly argued that there were essentially two options to solve the problem, both of which were obvious to the skilled person. On this issue the Court disagreed with the TBA, which had held that there were multiple options. The viability of those other options was discussed before the Court by ZTE and Vringo. In the end and having heard both parties’ experts, the Court was of the opinion that the other options were either not viable or less obvious. In other words, the Court was convinced that the two options mentioned by ZTE were the “natural” solution to redress the problem with which the skilled person was confronted due to the change made by TSGR1#5(99)677. The Court concluded that the choice for the one of the two obvious solutions is not inventive and that no pointer to either one is required. Brinkhof, through a team consisting of Ruprecht Hermans, Richard Ebbink, Gaëlle Béquet and Jan Pot, represented ZTE in these proceedings. This summary is based solely on the decision itself and not on information from the file not reflected in the decision. Epoch Co. Ltd v Character Options is a decision of the England and Wales Intellectual Property Enterprise Court (IPEC) of 29 October, courtesy of Judge Hacon. Being extempore, the judgment has not been uploaded to BAILII but was potted by the subscription-only Lawtel service. This dispute revolved around Epoch's patent for a fusible bead toy in which beads could be first arranged and then fused together to form a specific design. CO, a company that imported bead toys from Australia and sold them on the UK market, placed a new type of bead toy on the market which, Epoch said, infringed its patent. Epoch sued for infringement and sought an interim injunction against CO, who alleged that the patent was invalid. there was brand loyalty for Epoch's products, and if Epoch succeeded at trial and the CO's products came off the market, customers would buy Epoch's beads but could not match the colours to what they had left of CO's, thereby damaging the image of Epoch's products. * The approach adopted in Series 5 Software had not been endorsed by other courts. While the American Cyanamid principle [which requires the court to look at the balance of convenience, or relative inconvenience, of the parties ahead of the full trial] did not prevent some weight being given to the merits, there should not be a mini-trial, especially where interim relief could influence the commercial outcome. The court would therefore apply American Cyanamid in the usual way. * There was a serious issue to be tried as to whether Epoch's patent was valid, either because it lacked an inventive step or was unpatentable as a merely an aesthetic creation under the Patents Act 1977 s.1. The court would not however take a view at the interim stage in the absence of full legal argument on the meaning of "aesthetic creation". even if there were difficulties in matching the beads as suggested, customers would recognise that it was due to the difference in brands -- there would be no damage to the image of Epoch's products. If there was brand loyalty, on its face that was a reason for not granting an injunction, This was because, if an injunction was granted but CO succeeded at trial, it was liable to find it difficult to re-enter the market. * There were only two parties on the market in the UK, and there was a strong inference that, to the extent that CO sold its products, Epoch lost sales on a 1:1 basis. Therefore if no injunction were granted and Epoch succeeded at trial, it should be able to assess its lost sales and calculate appropriate damages with reasonable precision. The balance of irreparable harm favoured not granting the injunction. At its last meeting [the most recent meeting, for sure, but this blogger is certain that it isn't going to be the last] the UPC Preparatory Committee adopted the Rules of Procedure of the Unified Patent Court, subject to some further adaptations once the Committee has decided on the court fees. This is a major milestone in the progress of the Committee's work. The agreed text is draft no. 18 which shows that the text has undergone a rigorous process of development and testing. The Rules of Procedure are the result of a successful and fruitful collaboration between the Preparatory Committee's Legal working group and the Drafting Committee. This will underpin the Court's framework and functioning. The work has benefitted strongly from comments from stakeholders submitted during the written consultation and the oral hearing. Those interested in the Court's operation should familiarise themselves with the text. The UPC-Rules-of-Procedure.pdf is available. The draft, inclusive of a brief summary of the events leading up to it and a couple of attractive flow charts at the end, runs to 142 pages, so do remember to load up your printer and check your cartridge before you print it out. The rules end at no.382, but there are more than 382 rules since some rules are already bearing letters in addition to numbers. The fees are of course still blank. 1. At any stage of the proceedings where a question is raised before the Court and the Court considers that a decision on the question by the Court of Justice of the European Union (“CJEU”) is necessary before the Court can give judgment, the Court of First Instance may and the Court of Appeal shall request the CJEU to give a ruling thereon. 2. The Court shall in requesting a ruling follow the procedure set out in the Rules of the CJEU. (b) the reasons why an expedited ruling is appropriate. 4. The Registrar shall as soon as practicable forward the request and any request to apply the expedited procedure to the Registrar of the CJEU. 5. The Court may stay the proceedings. Where it does not stay proceedings, it shall not give judgement until the CJEU has given a ruling on the question. Given the short life expectancy of patents and the length of time a reference to the CJEU can take, one hopes that the expedited procedure will be the norm in cases where the litigated patent has not already expired or lapsed.